Somewhere between a tostada and a funnel cake lies the puffy taco. Here's a puffy taco primer to get you ready for your new soon-to-be favorite Tex-Mex dish. Somewhere between a tostada and a funnel cake lies the puffy taco. A regional San Antonio specialty, this crispy, fried, greasy and super-addictive snack is only now finding its way into restaurants outside of its hometown. 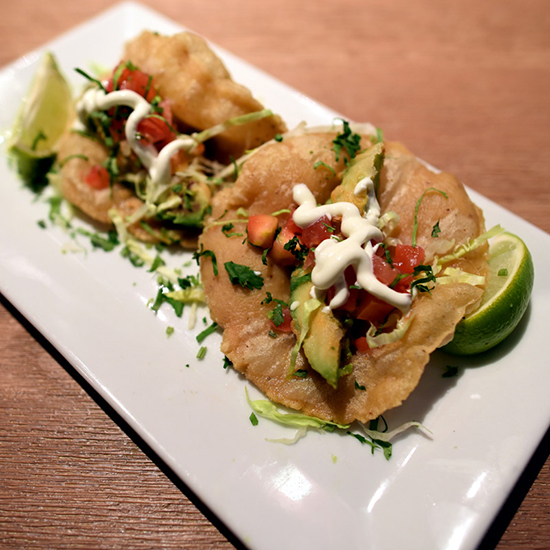 The latest: Javelina in New York City, which specializes in all things authentic Tex-Mex. While neither Javelina owner Matt Post nor chef Richard Caruso is a San Antonio native, the two are both puffy taco devotees and experts after the extensive research they conducted. The proof is in the San Antonio expat customers. “Nine out of the 10 times I see someone eating a puffy taco, he or she is from San Antonio,” Post says. “They say it reminds them of home.” Here, a puffy taco primer to get you ready for your new soon-to-be favorite Tex-Mex dish. According to Post, the puffy taco was first created in San Antonio by two brothers: Henry and Ray Lopez. They came up with the concept while cooking at Ray’s restaurant, Ray’s Drive Inn, in the 1950s. Henry split off from Ray a few years later and opened his own restaurant, Henry’s Puffy Tacos. Today, both restaurants claim to serve the authentic, real-deal, original puffy taco. At Javelina, Caruso and his staff make the dough fresh every day—which is simply ground corn masa, salt and warm water. “It should be a bit wetter than dough for a regular corn tortilla,” Caruso says. “You let it sit until it gets to room temperature, then press it in a tortilla press and drop it into a deep fryer. After a bit, gently push a spoon into the middle of the tortilla and wait for the tortilla to curl around the spoon. Flip it around a few times, then drain it.” The puffy tacos are made to order at the restaurant. “Puffy taco shells don’t have a long shelf life,” Post says. “Anyone that makes a real puffy taco will make all the tortillas fresh.” After the taco shell is sufficiently drained, Caruso fills the puffy taco’s handy indent with things like tender carnitas or fried avocados. “It should be greasy and hard to eat,” Caruso says. “It should fall apart in your hand.” For Post, the key to a great puffy taco is textural. “It needs to be fresh from the fryer with a nice crunch, but the interior should still be soft and chewy,” he says.